This is for guest travelling and who are willing to be included and share with other parties / people during the tour. Please be informed that, Guests will have shared van for the tour, trip and transfer only and will have their private rooms at the hotel. Travel Date: Every Weekend. Depart Manila Every Thursday Night, Arrive Manila Sunday Night. 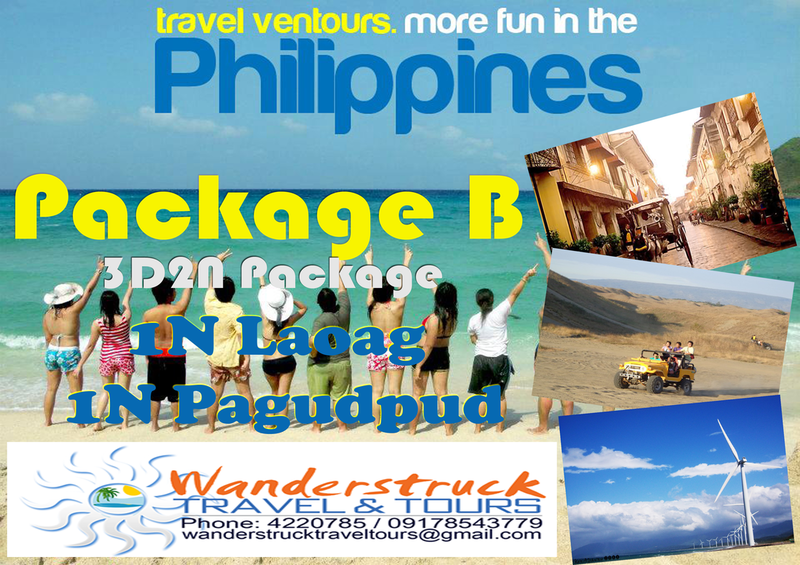 PHP 1,000.00/PAX non refundable deposit is required to guarantee the reservation. Failure to pay the Down Payment on the option date of payment will automatically cancel the reservation unless you inform us for consideration. Upon receipt of the copy of deposit slip the company will issue the Travel Voucher to confirm your reservation and downpayment. Ø Rates depend on the CONFIRMED Number of pax joining the tour. Ø If in case we were not able to complete the guaranteed paying pax within 7 days before the travel date we will email or txt a notification for re-schedule of the tour. Ø Change of travel dates must be reported 10 DAYS before the travel date if not PHP1,000 reservation fee is considered as cancellation fee. Ø Confirmed booking are non-refundable but transferrable. Ø 3 y/o and below are considered FREE OF CHARGE. Only 1 Child is allowed per group. Ø For shorten of stay, change of accommodation and change of number of pax are subject to the charges of the tour operator. Ø The company is not responsible for any accidents that may occur from the beginning to the end of the travel dates. Ø In case of unavoidable/unexpected circumstances (transportation broke down/brownout in the accommodations) the company is not liable to refund the tour.